Well, it finally happened folks. 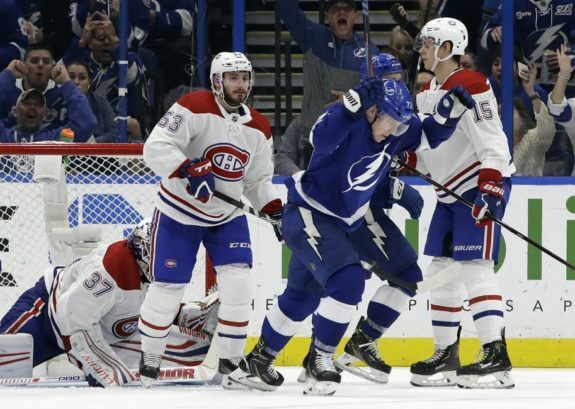 After going more than a month without suffering a regulation loss, the Tampa Bay Lightning finally came out of a game without earning a point this week. In the final game of their California road trip, a tired Lightning squad lost to the San Jose Sharks. So the dream of Tampa Bay ending the season on a 50-game point streak is now officially over. While we all knew the streak would eventually come to an end, it still was fun to see just how far the team could stretch out the amazing run they went on. Before the start of December, there were some serious questions about who the top team in the Atlantic Division was, with the Buffalo Sabres surging after their own 10-game win streak and the Toronto Maple Leafs steadily stowing away points, with both a constant threat to the Lightning. After Tampa Bay’s streak ended though, there’s no doubt who is the top dog in the Atlantic Division, along with the rest of the NHL. Right now, the Lightning sit 10 points ahead of the second-best team in the league and will look to continue to roll after their setback against San Jose. But before we look towards the future, let’s dig through some of the numbers behind the Lightning’s streak. It’s no secret how the Lightning were able to dominate during their 16-game point streak…they scored a lot of goals. This is nothing new for the team, of course, as they led the NHL in scoring in 2017-18, and are the top scoring team this season as well. However, what the Lightning did over the course of their streak is, in a word, dumbfounding. During the streak, they scored five or more goals 13 times. In 16 games, they scored 82 goals, averaging 5.12 goals-per-game. Just to give you a frame of reference as to how staggering that scoring rate is, the Los Angeles Kings have scored 98 goals in 44 games this season, meaning that Tampa Bay scored 16 fewer goals during the streak than the Kings have scored this entire season. To put it bluntly, if the Lightning are able to score five goals-per-game, few teams in the NHL will be able to keep pace with them. As we have seen this season, they can lose their starting goaltender or a top defenseman to an injury and just keep winning games by outscoring the opponent. Will this incredible scoring pace keep up all season? Likely not. But there’s no reason to believe that they won’t continue being the top scoring team the rest of the season. Between all the talk surrounding the 16-game point streak, the NHL announced the rosters for the All-Star Game. In the initial selections, Steven Stamkos and Nikita Kucherov were deservedly named to the Atlantic Division roster. Soon after, Andrei Vasilevskiy was added to the roster to replace Carey Price, who will miss the weekend due to injury. So, with three players making the cut, Tampa Bay will be well represented at the All-Star festivities in San Jose this season. 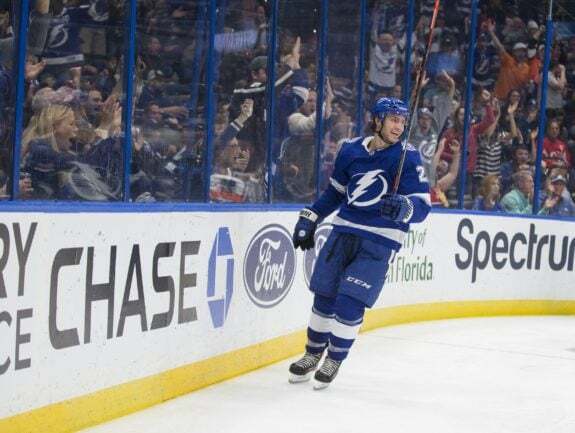 However, there is one glaring omission from the list if you are a fan of the Lightning: Brayden Point. The former All-Star was delegated to the ‘Last Men In’ ballot, which will add one more player from each division based on a fan vote. While there are always questionable choices surrounding the All-Star roster, the omission of Point felt especially odd. Not only is he the top goalscorer on the top scoring team, but he also sits sixth in the scoring race this season. Ultimately, it doesn’t really matter if Point makes the All-Star Game or not. He got to experience the full festivities of the even last season in Tampa, so he’s already been able to knock that off his career bucket list. In fact, one could argue that the best thing for both he and the Lightning would be a weekend off to rest instead of having to travel back to California for the second time in a matter of weeks. So, while it may be frustrating that he is missing out on the honor, it could be the best thing for the long-term success of the team this season. 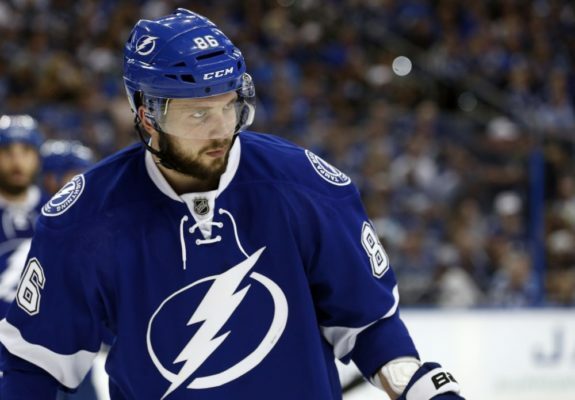 As mentioned earlier, Kucherov was named to the 2019 All-Star Game roster this week. While this is no surprise, as he is often considered one of the top players in the sport right now, what he was able to accomplish in the month of December was on another level. In 14 games played in the month, he scored at least two points in nine games, including a career-high five points against the Edmonton Oilers. By the end of the month, he had posted 21 assists and 30 points, setting a franchise record for both assists and points in a month. After those impressive scoring totals, Kucherov was named the first star of the month for December. With 71 points through the first half of the season, the Lightning’s All-Star scorer is on-pace to set a few scoring records this season. First off, he should be able to challenge Vincent Lecavalier’s franchise scoring record of 108 points set back in 2006-07. Along those same lines, he should have no problem breaking the franchise’s 68-assist record held by Brad Richards and Martin St. Louis. There’s still a lot of time left in the season, so there’s no telling if Kucherov will stay hot or return to Earth after his outstanding December. Either way, the Lightning have to be happy with the play of their superstar winger. With such a successful month behind them, the Lightning will look ahead to a busy week of hockey to start a new winning streak. Over the next week, they will play four games, including a back-to-back against the Buffalo Sabres and New York Islanders this weekend, book-ended by games against the Carolina Hurricanes and Dallas Stars. With tough games ahead, they will need to continue playing as they did in December to keep up the momentum from the last month.